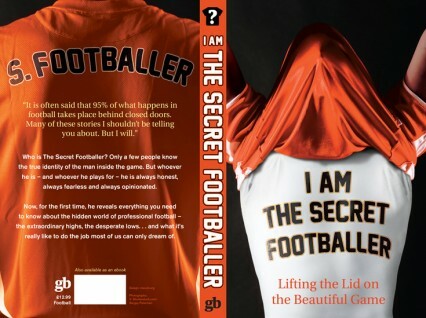 Who is The Secret Footballer? Who knows . . .
He’s a premiership player who, since his first book, has been spilling the beans on the English Premier League and Football Association. His identity is a closely guarded secret. Katie Roden, our friend and esteemed Publishing Consultant (among other things) was working for Guardian Books in 2012 and called us with an emergency – they’d been looking at covers for this book for too long and needed a fresh perspective, and quickly. 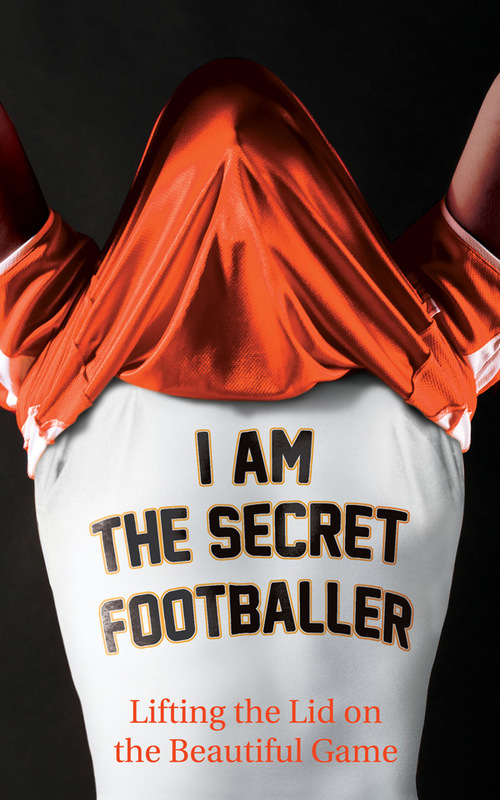 We got to know the book sharpish and came up with the simple device of a celebratory shirt-over-the-head, which both said what the book is, and with confidence, but obscured TSF’s identity. It also created a persona for him. 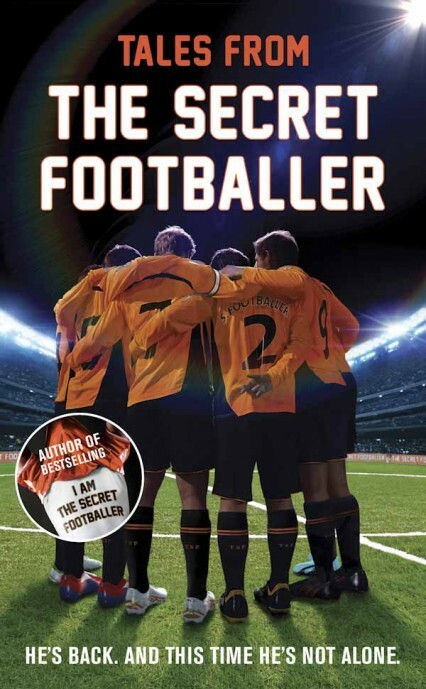 The book went stellar, TSF now commands a staggering 81.2k followers on Twitter, a host of spin-off identities including The Secret Pundit and more books to come. We’ve been lucky to work on the second book, Tales From The Secret Footballer, shown here and look forward to sharing the new book, The Secret Footballer’s Guide to the Modern Game soon.